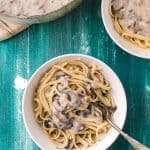 This lightened up mushroom pasta might have less fat and calories, but it still has all the creaminess and taste of the standard version! Ahhh, creamy pasta. So comforting, so delicious, so warming. So . . . creamy. 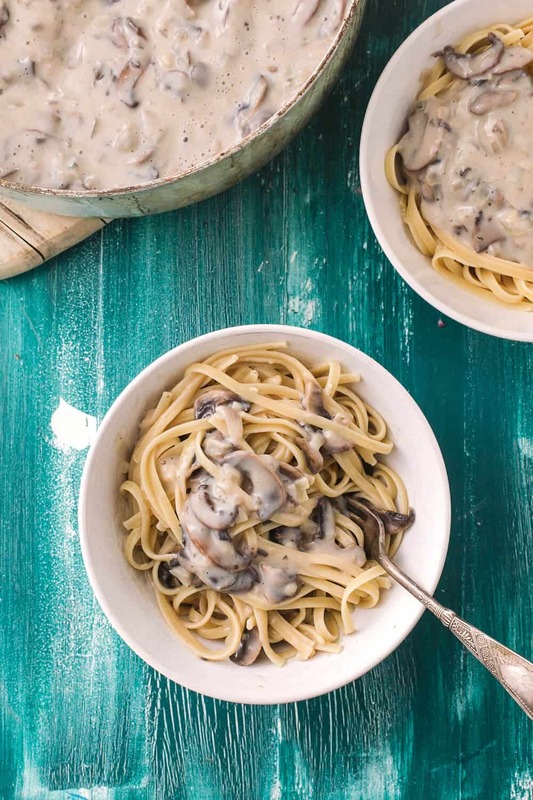 Do the words ‘creamy mushroom pasta’ make you think of a major calorie bomb filled with heavy cream, lots of butter, and endless grams of fat? 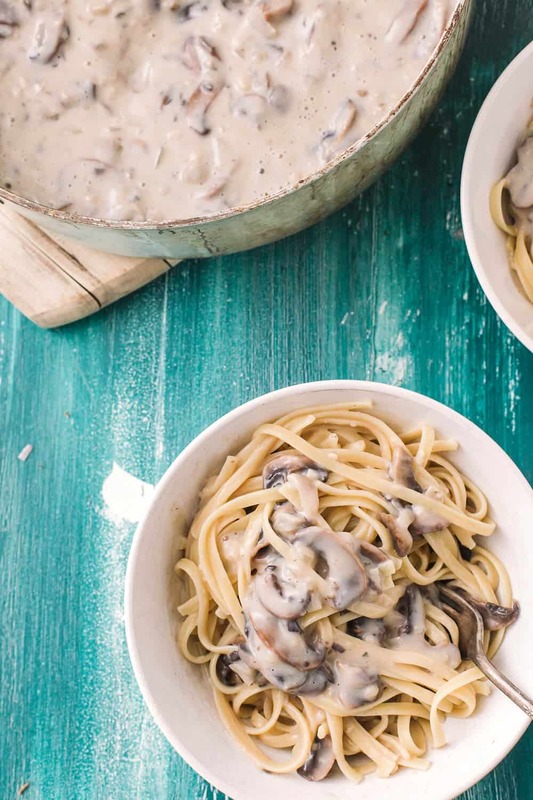 Don’t worry, creaminess in sauces don’t have to be achieved through the use of cream and butter, alone. 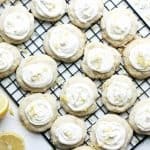 Some do use cream (hello, Alfredo! ), others use eggs (hello, Carbonara!). 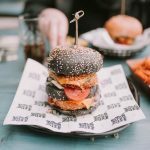 Both are delicious but often pack quite the calorie punch. Another great, and much lighter, option is a roux. The name sounds fancy and therefore people think it is difficult . . . yet it’s actually pretty simple! 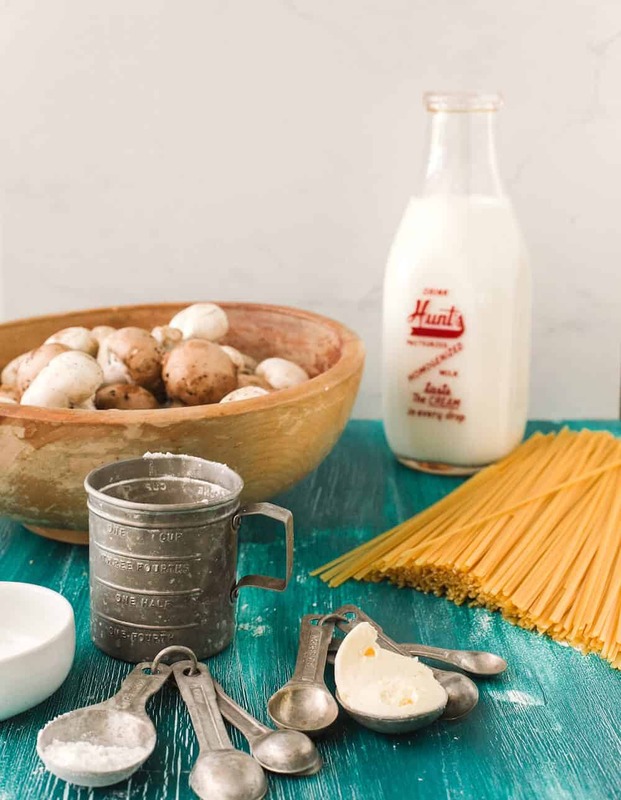 A roux is just flour and some butter or other fat, cooked until a paste is formed, and then whisked together with liquid and simmered for a few minutes and hey, presto, thick and creamy pasta sauce without the cream! This particular roux uses 1% milk so that you still get some dairy protein in addition to the protein that’s in pasta. 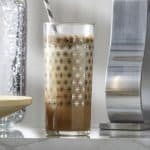 It also lends a more authentic ‘dairy cream’ flavor to it, as well. 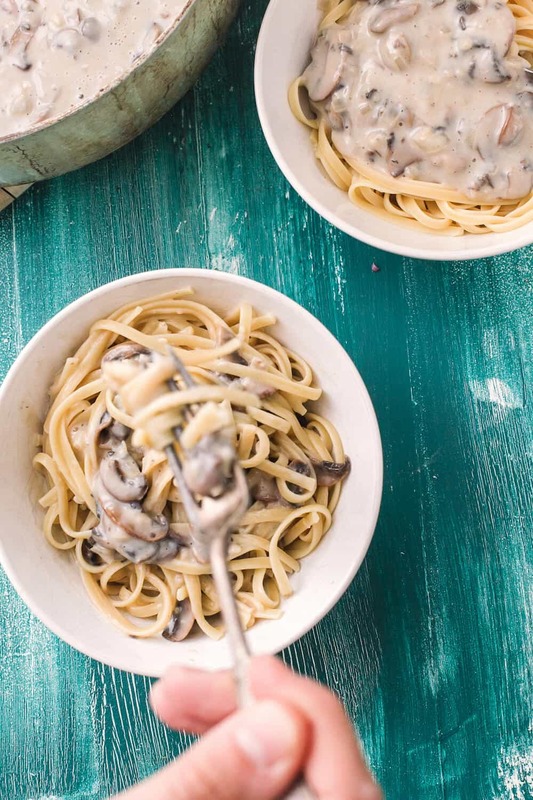 Combined with delicious cooked mushrooms, shallots, garlic, and sage and you have a wonderful sauce that tastes decadent and sinful whilst being under 500 calories! So go ahead, enjoy! Mince shallots, garlic, and sage. 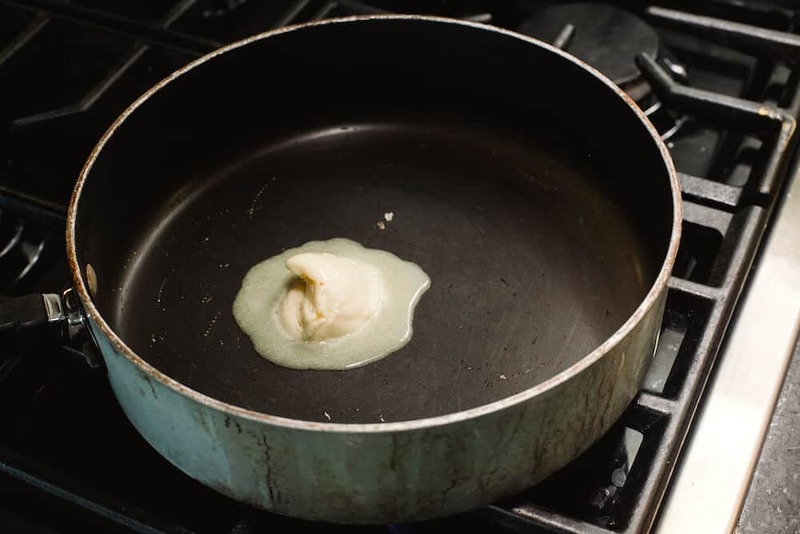 Heat a tablespoon of butter in a skillet over medium-high heat. 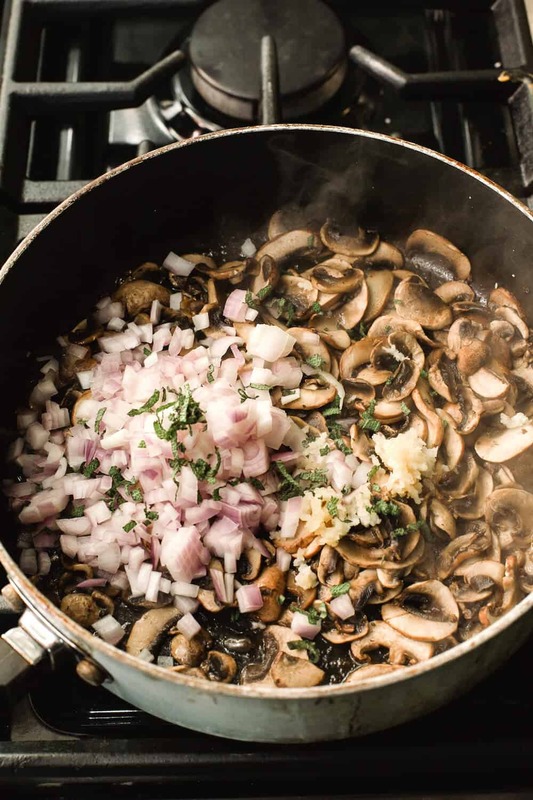 Add the mushrooms and and them sit in the pan, without stirring, for about five minutes. 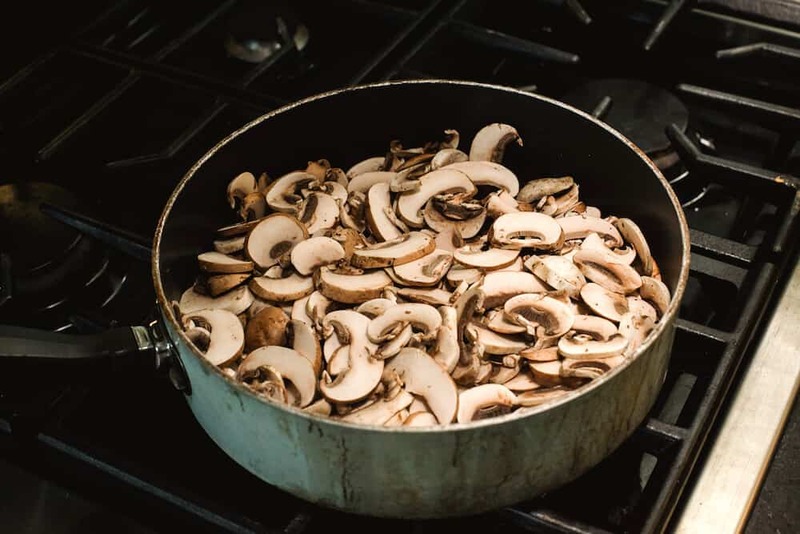 Stir/flip browned mushrooms and let them cook on the other side – without stirring – for about four minutes. 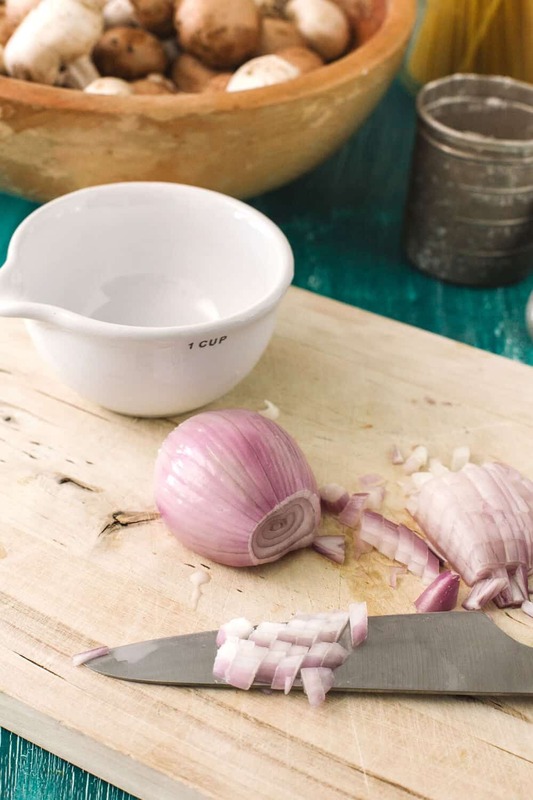 Add the shallots, garlic, and sage and cook over low heat until all ingredients are fragrant and soft. 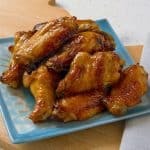 Make a well in the pan and add the second tablespoon of butter. When melted, add the flour. 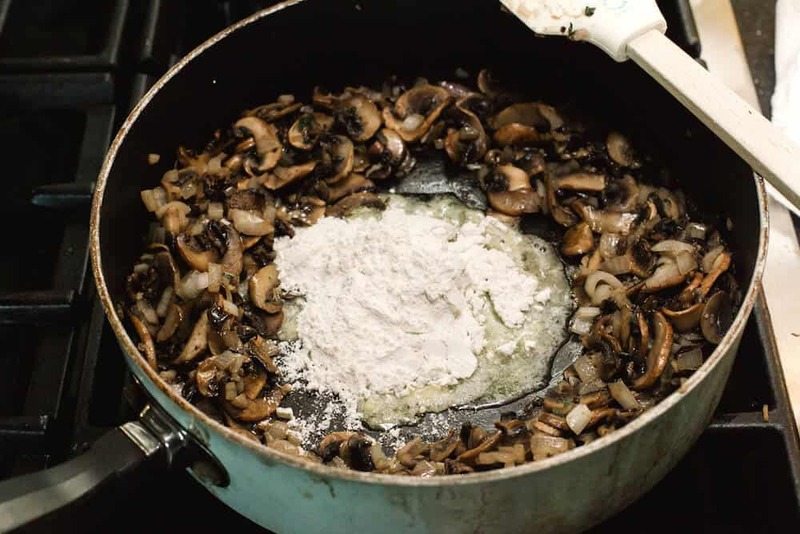 Stir quickly until a paste is formed and then thoroughly stir through the mushroom mixture. 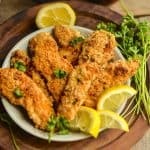 Take a whisk and slowly pour the chicken broth and 1% milk, whisking quickly and constantly, until everything is mixed and lump-free. 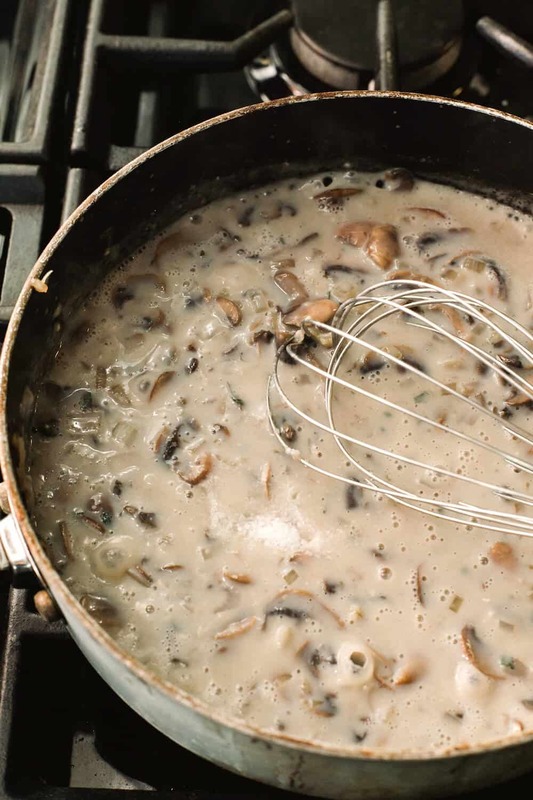 Cook over medium-low heat, continuing to whisk, until the mixture has thickened to a very heavy gravy consistency. Allow to simmer for five minutes over extremely low heat while pasta finishes cooking. Stir sauce through cooked pasta and serve! 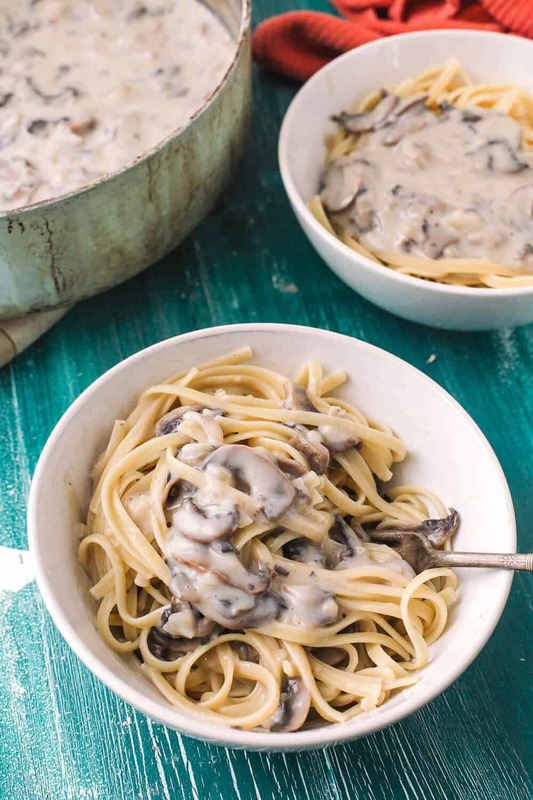 Tell me this mushroom pasta isn’t creamy and delicious? 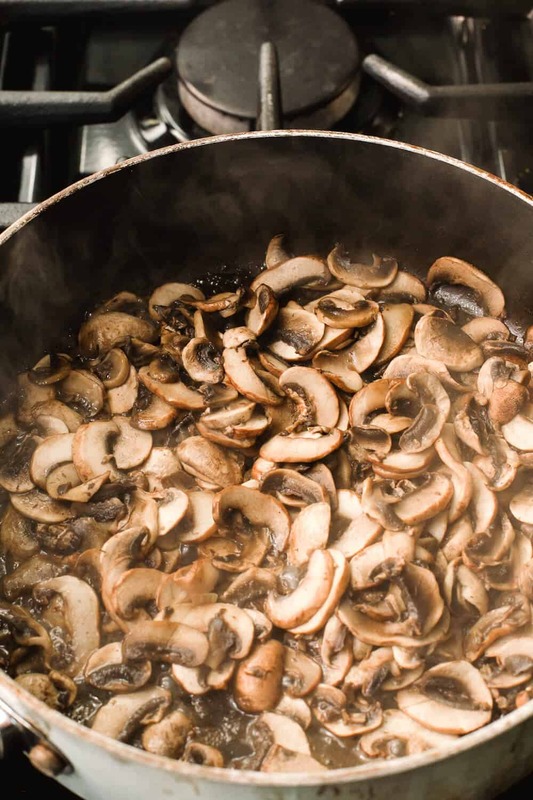 Stir/flip browned mushrooms and let them cook on the other side - without stirring - for about four minutes. Stir sauce through cooked pasta and serve! 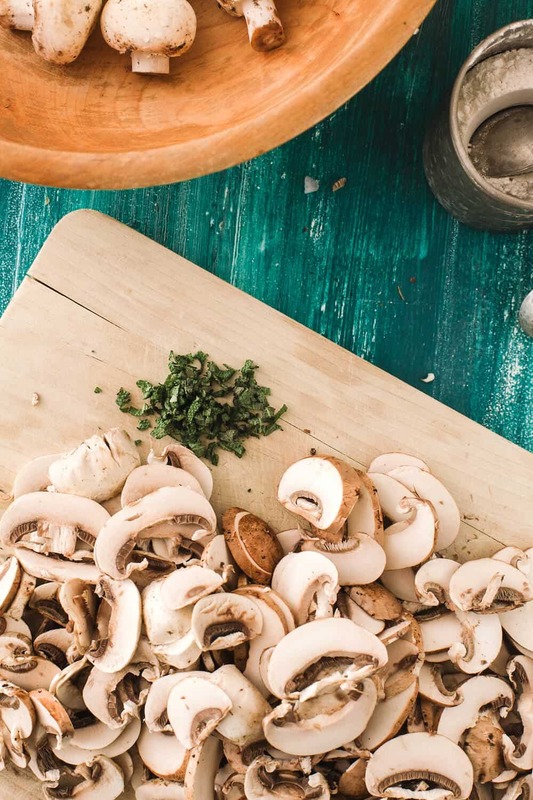 If you are converting to Weight Watchers SmartPoints, 1 serving of this mushroom pasta has 11! Not too shabby. Enjoy!